Welcome to this amazing property on .28 acre wooded creek lot with evening shade & entry to patio from breakfast area & master suite for the ultimate view. Beautiful finish out with wood floors in entry, study, dining & living room as well as Plantation shutters throughout. 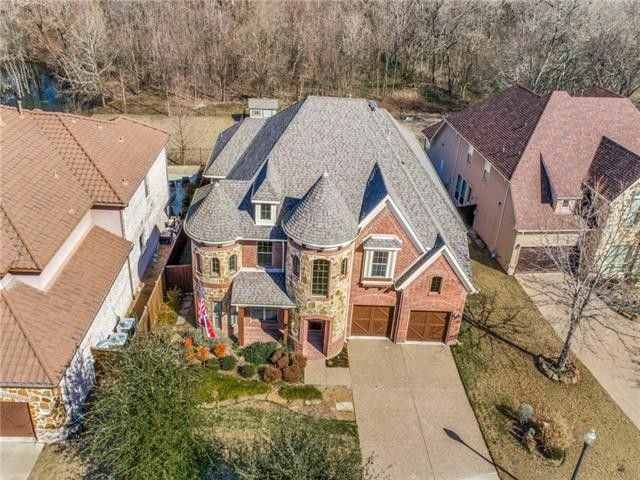 Fabulous living room with fireplace open to gourmet kitchen that features granite countertops, 5 burner gas cook-top, island, large breakfast bar, walk-in pantry & butlers pantry that includes vegetable sink & small fridge. Desirable two story study with winding staircase. Expansive master suite boasts patio doors, his & her vanities, jetted tub, corner shower & custom closet. Complete with oversized 2 car garage with extra 6x7 workspace. Directions: From 121 go north on Hardin Blvd, Right on Sorrell, Right on Gentle Creek, Right on Mountain Creek, house on the left.